Jones LPC & Youth Resources is a combination of Professional Counseling and Youth Ministry consulting services. 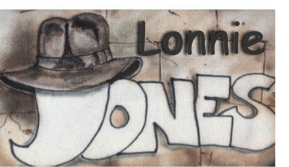 Lonnie "lonzo" Jones is the Jones in Jones LPC & Youth Resources. Lonnie has a BA in Bible from Harding University and a Masters degree in Counseling Psychology. Lonnie is married to Jacque Jones. Jacque is a high school science teacher and a volleyball coach. They have been married 33+ years. They have one adult daughter Loni Elizabeth. Loni is married to Tyler Watkins and they live Dalton, Georgia and are both employed at Christian Heritage High School. Lonnie and Jacque are active members of the Meridianville Church of Christ where he serves as the Intergenerational Minister. Lonnie is also active in the community by making values based presentations to local school children. Lonnie also volunteers as a Chaplain to the local S.W.A.T. Team. He holds APOST certifications as a special instructor Stress Management and Mental Health Awareness (formerly patrol tactics with emotionally disturbed persons). By profession Lonnie is a Licensed Professional Counselor. That's what the LPC in our title stands for. In addition to this license he is also board certified by the National Board for Certified Counselors. The LPC end of the business offers counseling services to individuals, couples and families. He has been in private practice since 1998. Prior to entering private practice Lonnie served as a Youth and/or Family Minister with the Churches of Christ. The Youth Resources part of the business relies on this 35+ years of experience. Because of this rich history we are qualified to offer a variety of youth ministry consulting services such as retreats, special seminars on youth ministry, teacher training, curriculum development, and classroom management to name a few. Lonnie is often a featured speaker at retreats and youth rallies. Youth Resources also includes experiential education or experienced based learning. Lonnie is the manager and lead instructor of the Challenge Course at Wellstone Behavioral Health. This program is modeled after programs such as Project Adventure and Outward Bound. With seven low elements and eight high elements The Challenge Course is the ideal retreat for any group to come and discover how to work better through commitment, communication, cooperation and contribution. Lonnie's qualifications to work in this field include certification as an Advanced Level Instructor in ropes course facilitation. Lonnie has participated in the course "Managing a Rock Site" offered by an instructor from North Carolina Outward Bound's Kurt Hahn Leadership Center. He has completed Rope Technician Level I training by On Rope 1 as well as several multi-day seminars offered by groups such as the Adventure Guild, and True Adventure Sports out of Fort Payne and a course satisfying the requirements for Homeland Security Level I Vertical Access. Lonnie has served as an adjunct part of Berry Colleges BOLD (Berry Outdoor Leadership Development) Staff. He has served as the director of the indoor climbing wall for Huntsville's Youth and Recreation Services. He was also a sight supervisor, climbing and rappelling instructor at the 1996 International Olympic Youth Camp. In 1999 Lonnie was invited to be a guest rappelling instructor at a regional S.W.A.T. training. He also functions as the de facto rappel master for the local tactical unit as part of his involvement as their chaplain. Now that you know who we are and what we do maybe something we offer can be of service to you or your group. Don't hesitate to contact us via the email lonjones@bellsouth.net .